Do you need to temporarily use an app on your Windows 10 computer? Or perhaps you want to include the mapping action in a certain script so that your drive can be automatically mapped as you log in to your computer? Yes, there are indeed many reasons why you need to map a network drive. Regardless of what your case is, knowing how to map a network drive really helps a lot. 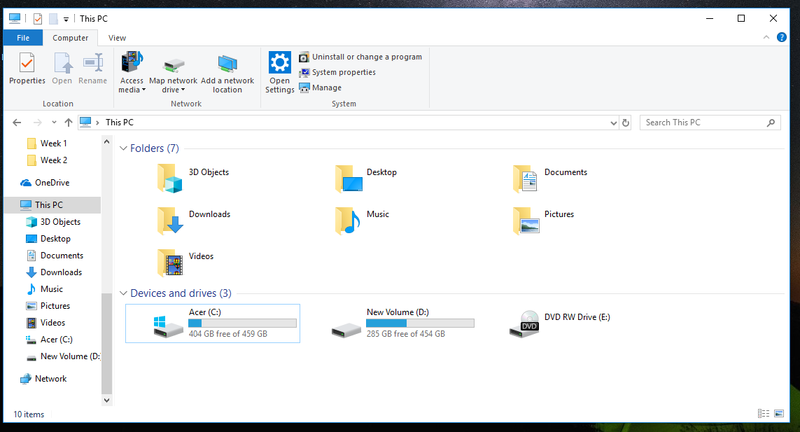 For many users, mapping a network drive on a Windows 10 computer is such an easy task. That is because there are many ways to do that. The good thing is that you’ve come to the right place. We’ll discuss some of the most common methods on how to map a network drive on Windows 10 below. First, go to File Explorer -> This PC. Navigate to the Computer tab. Click on the Map Network Drive button. Another way is to select the server or drive that contains the folder you want to map. Right-click on the folder and then select Map Network Drive. Lastly, you may also navigate to the Home tab and click Easy Access. From there, select Map as Drive. Regardless of the method you will follow, once you click on the Map Drive button, expect a dialog box to pop up. Just select an available drive letter from the drop-down list and then click Finish. Once you are done, you should now see the new drive letter under This PC. You can also access its contents like any other folder. If you wish to disconnect the access to that network drive, simply right-click on it and hit Disconnect. If you do not know what drive letter to use, just put an *. Your new syntax should be: net use * \\server\sharefolder. The next available drive letter will be automatically picked for you. Enter “powershell” in the textbox”. That’s everything about mapping a network drive on your Windows 10. Here’s an important tip we’d like to give you. To avoid encountering slowdown issues while mapping a network drive, we suggest the installation of Outbyte PC Repair. This tool optimizes your PC’s performance, ensuring top performance at all times. Give it a try!